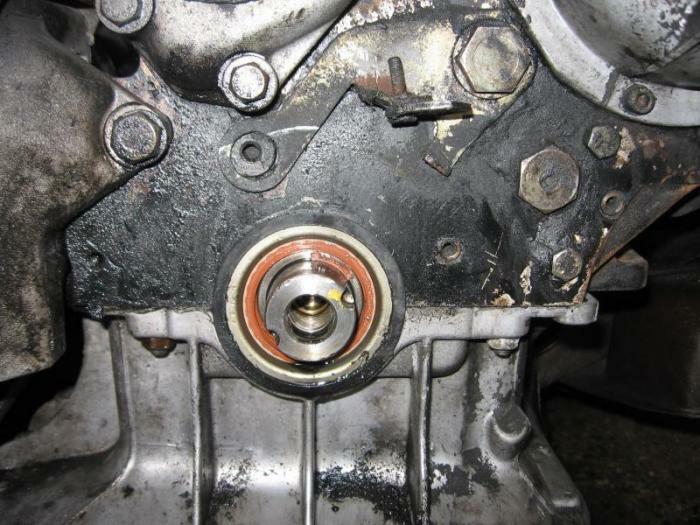 OM617 Front crankshaft seal nightmare - should I re-align the upper oil pan? I followed the instructions on the DIY links on this site and all seemed to be well - the plastic cup special tool worked a treat. However, as the upper oil pan is not perfectly aligned with the block it was very difficult getting the seal to fit. It went in - in the end - but the outside of the seal ripped. I've finished the job and so far there is no leak but I guess it won't last for ever! So here is the question - is it a good idea to loosen the bolts on the upper oil pan and re-align it so there is no longer a misalignment of about 0.5mm (before fitting another front crankshaft seal)? I guess I'm most likely to replace one leak with another - but you never know perhaps someone else has had this trouble and has done a fix before? Here are some pictures that if you look carefully show the badly aligned joint. Thanks in advance for any advice you may give. Perfect surface alignment does not matter if it is fully seated to the engine block. Assuming the Upper Pan was never off it sould have been aligned from the Factory. If you loosen the Pan there is no gasket just sealant on it so if you cannot re-seal it you could end up with a leak somewhere else. Also, in theory ounce the Pan is loose you are supposed to align it with a Special Tool before you tighten it. What does the tool do ? I'm getting ready to pull mine. Thanks for the responses - if I find a link for that special tool for the upper oil pan I'll post it here. Good lord. I have been looking in the Factory Service Manual CD and I do not see that tool. So now I do not know if I just cannot find it or if I made mistake and there is no tool at all. I am going to look in the printed book and chec. 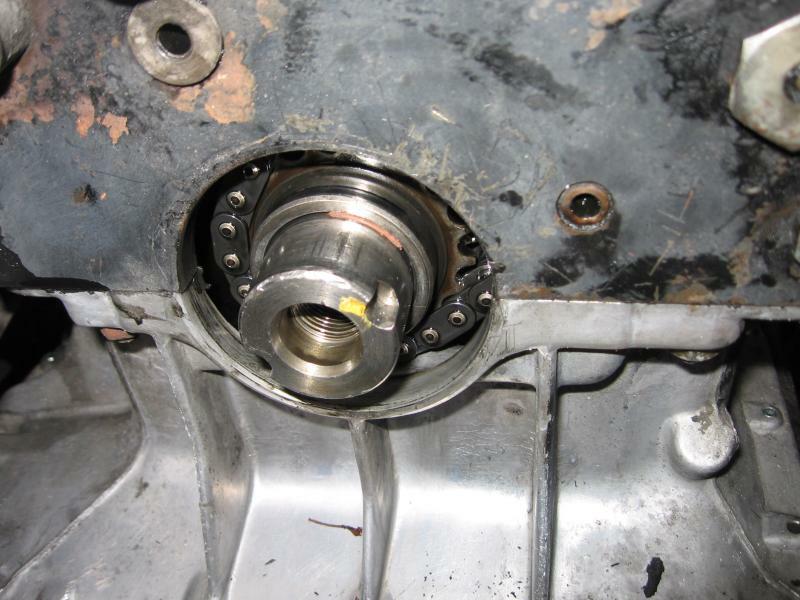 OK I looked through the paper Engine manual and could also find no Oil Pan Centering tool. So I am just going to beg for mercy and hope that my Apologia for being wrong is accepted. Last edited by Diesel911; 03-20-2010 at 01:22 PM. Truthfully. I don't think there is any type of sealant or glue from the factory. Just a highly machined fit. But IMHO once you disturb it, you'll need to seal it. I just aligned by sight. I would put a small amount of a good quality silicone on the seal before I would move the pan around. On the seal only , not on the pan/block surface, as I would not want any squeezing into the interior of the engine and coming off to clog something. If I were you I would be concerned about the seal ring surface...it looks grooved to me. Nice job cleaning the block and pan. As everything is back together I'm going to wait until it fails - so far it seems OK as nothing is leaking. I'm glad you appreciate the clean up job I used brake cleaner and lots of rags! Much better than "If it doesn't leak, take it apart to find out why". It's always more fun to do things a couple times than to do them right once! What does the tool do ? 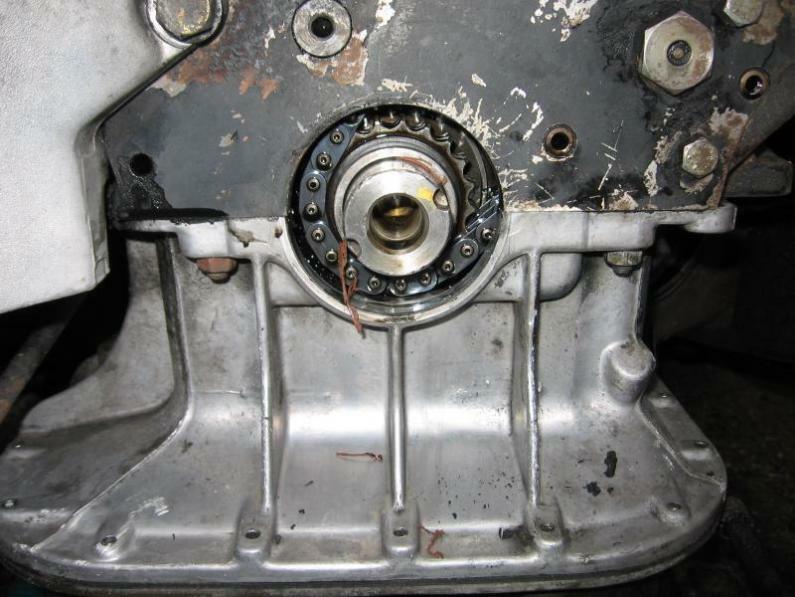 I'm getting ready to pull mine..
Sleeve for centering the front cover and oil pan to crankshaft. Last edited by Billybob; 09-01-2010 at 03:27 PM. I was not able to connect to the above link.